Get ready to SHAKE, RATTLE & ROLL while raising funds & awareness for Retinitis Pigmentosa research! 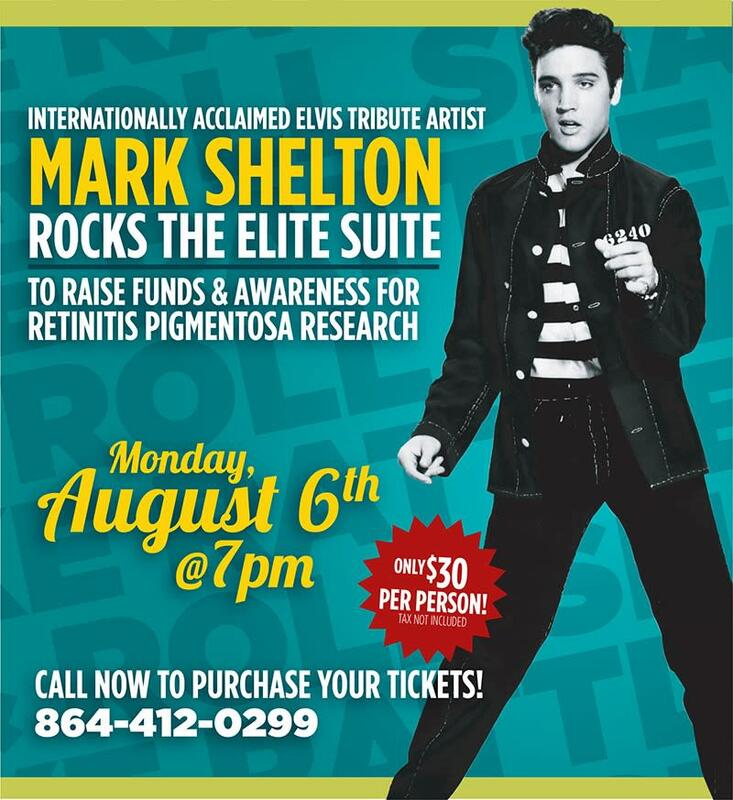 Join them as internationally acclaimed Elvis tribute artist MARK SHELTON rocks the Elite Suite at Spare time Greenville on Monday, August 6th at 7:00 PM! Only $30 per person for this memorable event - Call us at 864-412-0299 to reserve your tickets before they run out.